Nominated for Best Art Direction-Set Decoration; Best Costume Design. 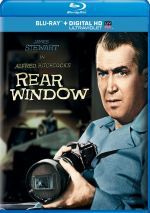 In 1955, Alfred Hitchcock released To Catch A Thief and it couldn’t have been much more different than his previous outing, 1954’s Rear Window. Where Window provided a claustrophobic film that took place in a solitary apartment and its immediate courtyard, To Catch A Thief became one of the more open and visually striking Hitchcock films to that date. Actually, about the only similarities between the two aforementioned films is that they both featured an innocent man falsely accused, a stunning Grace Kelly, lots of glamour, a bit of romance, and a sprinkling of humor. Thief used the lush backdrop of southern France and Paramount’s VistaVision camera to show precarious shots taken from fast-moving vehicles and helicopters. Robert Burks won the Academy Award for Best Color Cinematography. While that became the only Oscar victory for the film, the sets and costumes also earned nominations. Although Cary Grant had announced his retirement from film two years prior to making To Catch A Thief, he simply couldn’t turn down another chance to work with Hitch – or a chance to work with the glamorous Grace Kelly. 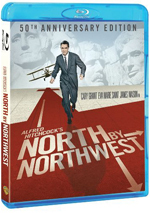 Grant had already worked with Hitchcock on Suspicion in 1941 and Notorious in 1946 and would also work with him again in 1959 in North By Northwest. Kelly found herself working with Hitchcock for the third time in two years, as she had just completed Rear Window and 1954’s Dial M for Murder before that. (In an interesting side note, it was during the filming of To Catch A Thief that Grace Kelly also met her soon-to-be husband, Prince Rainier of Monaco.) Thief was quite a collaborative effort between the three and while other films from each were certainly better, Thief still stands out as a nice group effort. In To Catch A Thief, a very tanned and fit Grant stars as John Robie, a famed cat burglar in France before World War II and one who would come to fight on the side of the French Resistance. Because of his brave actions during the war, many considered him to be a hero so he gave up his life of crime. Lately however, some burglaries have taken place in the area that seems very similar to the ones Robie pulled years ago. These make the police wonder if Robie has decided to come out of his self-imposed retirement to start his life of crime all over again. The cops arrive at Robie’s flat and consider him guilty on the spot. However, Robie makes a quick escape and stops at a local restaurant run by some of his former friends from the resistance. They also make a rush to judgment and assume his guilt. They feel betrayed by him and welcome him with less than open arms. With the cops in hot pursuit, Robie must make another quick escape from the restaurant and then it hits him – if he’s going to clear his name, he must catch this imitator in the act. With the assistance of an insurance investigator HH Hughson (John Williams), Robie receives a list of the richest insured clients in the region who own what the burglar wants to get his hands on: expensive jewels. That way, Robie can play the game right along with the new “Cat” and try to figure out his next move. Not only does Hughson help Robie by providing him with a client list, but also he helps set up a “chance” meeting between Robie and one of his most influential clients, rich American widow Jessie Stevens (Jessie Royce Landis) and her daughter Frances (Kelly). The duo lives it up in Europe - jewels and all – while they also try to find a suitable husband for Frances. Robie uses a cover to hide his sordid history from the ladies, but Frances finds out about his burgling past and actually seems turned on with the danger that accompanies Robie and his secret. However, when her mother’s jewels come up missing, she immediately assumes that Robie has pulled a fast one over on her and her mother and she lets him know as much. Realizing that he’s falling for Frances, Robie wants more than ever to uncover the true identity of the real thief to clear his name. However, it seems that his nine lives are quickly expiring. Ultimately, To Catch A Thief is great fun, but can hardly be considered suspenseful. 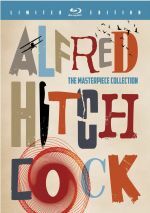 We never witness any real danger or peril in the film and while it shows Hitchcockian elements, it hardly stands as one of his finest achievements. The film presents nothing more than light-hearted fun and is best enjoyed as such. 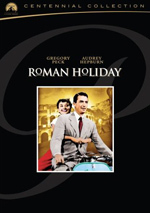 To Catch a Thief appears in an aspect ratio of approximately 1.85:1 on this Blu-ray Disc. Across the board, this was a pleasing image. Sharpness was strong. Virtually no softness materialized here, as even wide shots showed nice clarity and accuracy.. I saw no jagged edges and shimmering wasn’t a problem despite the presence of some striped shirts in the first act. Source flaws stayed very minor; outside of a couple of specks, this was a clean transfer. Edge haloes didn’t appear, and with a nice layer of grain, the transfer showed no signs of intrusive noise reduction. Colors usually appeared excellent. The movie exhibited a bright, varied palette with a lot of dynamic tones. Truly, the hues popped off the screen on many occasions. Blacks were deep and firm, while shadows showed good clarity and delineation. I did think the green tint given to “day for night” shots seemed odd, however. Nonetheless, this was a consistently fine presentation. In addition to the movie’s original monaural audio, the disc threw in a remixed Dolby TrueHD Stereo 2.0 soundtrack. And a pretty lackluster one at that, as it only occasionally managed to provide sense of environment with much detail. This was basically one of those “broad mono” affairs. Although it gave us audio from the side and rear speakers, those elements often failed to bring anything distinctive to the movie. A few moderately positive instances occurred, such as when Robie and Danielle rode on a boat; those scenes opened up to present a fair feeling for the sea. Street sequences used the different speakers for passable environment as well. For the most part, though, the ambience appeared less than convincing. Audio quality was dated but decent. Low-end heft essentially failed to appear, as the track usually exhibited a tinny, trebly sound. This mostly affected music and effects, which were clear but without much range. I thought they needed greater vivacity and punch. Speech was a bit thin but remained intelligible and concise. The lines lacked edginess or notable flaws, though some poor looping created distractions. Clearly they revoiced some actors, and they did a terrible job of it. This became especially distracting when Bertani (Charles Vanel) jumped between French and English; Vanel did the French himself, so those lines sounded natural, but the dubbed English came across as awkward and failed to match the mouth movements. All of this added up to a pretty mediocre soundtrack. How did the Blu-ray compare to the Centennial Collection DVD from 2009? Audio was a wash; the lossless mix might’ve had a little more oomph, but I still wasn’t wild about it. I’d prefer to go mono in the future. On the other hand, the visuals showed a nice upgrade. The Blu-ray was cleaner, crisper and more dynamic. This turned into a solid step up in visual quality. The Blu-ray replicates the extras from the 2009 release, and we start with an audio commentary from film historian Dr. Drew Casper. He offers a running, screen-specific piece that looks at the source novel and its adaptation, filmmaking techniques and interpretation, cast and crew, elements of the era, movie trends and technical elements, how the flick fits into the Hitchcock oeuvre, shooting on location, and a mix of topics. A veteran of many tracks of this sort, Casper knows his way around the format, and he also knows his Hitchcock. His comfort with commentaries becomes clear as he seems well-prepared and eager to impart his knowledge. Casper digs into Thief with gusto and provides an abundance of useful information in this consistently enjoyable chat. A Night with the Hitchcocks goes for 23 minutes, 22 seconds and presents a November 2008 Q&A. Hosted by Casper, it features Alfred Hitchcock’s granddaughter Mary Stone and daughter Pat Hitchcock as they go through audience questions. (USC School of Cinematic Arts Dean Elizabeth Daley also offers a few introductory remarks.) They chat about aspects of Hitchcock’s career and his personal life. The latter side of things proves the most interesting, as we find some nice insights into the private Hitchcock. There’s nothing revelatory on display, but the show offers good notes. For a look at pressures put on filmmakers, we go to the 11-minute and 49-second Unacceptable Under the Code: Film Censorship in America. It features Casper, USC Professor of American Film Dr. Richard Jewell, and former Writers Guild of America president Del Reisman. They offer a quick history of movie censorship as well as notes about Hitchcock’s attempts to skirt the Production Code for Thief. Despite its brevity, the program packs a lot of good information. I wish it ran longer, as this is a rich subject, but “Code” does very well for itself. Next comes Behind the Gates: Cary Grant and Grace Kelly. It lasts six minutes, 12 seconds as it provides notes from film historian Richard Schickel and producer AC Lyles. They provide some basic notes about Grant and Kelly. This is too short a show to come to much, but it’s still enjoyable. Writing and Casting To Catch a Thief lasts nine minutes, three seconds as it involves comments from daughter Pat Hitchcock, granddaughter Mary Stone, and author Steven DeRosa. “Writing and Casting” covers… um, writing and casting. We learn about the adaptation of the original novel as well as how the various actors came onto the project. DeRosa offers most of the information, and he gives us some fine notes about censorship issues and cut sequences. The cast-related aspects are less interesting but throw out a couple of decent tidbits. This is a short but reasonably effective program. Next we get the 16-minute and 53-second The Making Of To Catch a Thief. It features remarks from Stone, DeRosa, Pat Hitchcock, production manager Doc Erickson, and French continuity person Sylvette Baudrot. We find info about shooting on location in France, problems related to language and actors, the use of VistaVision and cinematography, costumes and period continuity, some notes about Hitchcock and his style, censorship concerns, score, the movie’s release and a few general memories of the production. The title of “Making” seems a little misleading, as the featurette doesn’t provide a full examination of the movie’s creation. Nonetheless, it spices up the disc with a nice collection of anecdotes and facts. Though it doesn’t follow a particularly coherent path, the content seems interesting and useful enough to keep us involved. For the seven-minute and 32-second Alfred Hitchcock and To Catch a Thief - An Appreciation, we hear from Pat Hitchcock, Stone, and Baudrot. “Appreciation” acts more as a love letter to the director than to the film. That’s fine, as we get some sweet anecdotes about Hitchcock and see a few home movies from his life. The end result seems fairly inconsequential but enjoyable. I do like Stone’s comments about taking a class on Hitchcock films in college and how her discussions with him affected that course. Finally, we get Edith Head – The Paramount Years. It runs 13 minutes, 43 seconds as it offers notes from biographer David Chierichetti, Custom-Made Costume department head Tzetzi Ganey, fashion designer Bob Mackie, and actor Rosemary Clooney. “Years” looks at the famous costume designer and her work over the years. It seems awfully short for a take on someone with such a long and successful career, and it only tells us a little about Thief. Nonetheless, a quick overview is better than nothing, and we find enough useful notes to make the show worthwhile. We also find the movie’s trailer and a collection of Galleries. Those break down into “Movie” (33 images), “Publicity” (11), “Visitors to the Set” (14), “Production” (72). All are interesting, though I like “Visitors” the best. An unusual component arrives with If You Love To Catch a Thief, You’ll Love This, an “interactive travelogue”. After a 55-second introduction, we can learn a little more about the locations featured in the film. We see shots from the film and then get basic details about the French areas. It’s a neat little take on the locations. 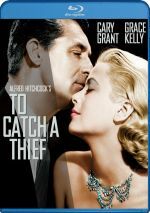 The duo of Cary Grant and Grace Kelly are as gorgeous as the backdrop of the French Riviera and while To Catch A Thief doesn’t rate as one of Hitchcock’s best efforts, it was an enjoyable romp nonetheless. The Blu-ray delivers excellent visuals and a nice collection of bonus materials but audio seems average. That’s a minor complaint, though, as this remains a pretty terrific Blu-ray.